I know you have heard the old adage “you get what you pay for”. 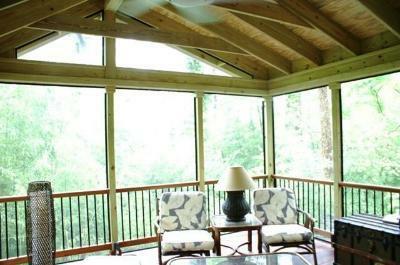 Much can be said in the same light when it comes to having an outdoor living structure such as a screened porch or patio built to enhance your home and lifestyle. Hiring a professional such as a custom builder will ensure that every nuance, forethought and even aterthought is covered before your addition is in use. Archadeck of Maryland is currently building a screened porch and patio combination for homeowners in Columbia, MD and as with the case in many of our endeavors we turn the spotlight onto this particular job and as anticipation towards completion mounts we focus on how important it is to choose a custom builder to ensure the job is done right from the beginning. These Columbia, MD homeowners wanted a low-to-grade screened porch with mahogany flooring. We are installing a mahogany floor which has a moisture barrier to minimize any cupping with the mahogany itself. We laid the flooring in a straight pattern, because when you think of a structure such as a screened porch you think of it as an extension of your “living” area. Hardwoods laid within the interior of homes are most often laid in a traditional straight pattern versus an angled pattern that is often times used when laying decking boards. The exterior of the screened porch is pressure treated, which gives the structure a more “cottage” type feel to it, more relaxed and casual. 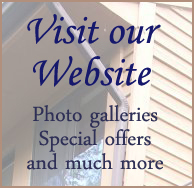 Using pressure treated wood enables the homeowners to paint the exterior to their liking. The only trade-off with the use of an exterior finish such as pressure treated is you have to decide early whether you want your structure to have a casual feel to it versus one with more formality. The dimensions will be a substantial 12 feet out and 16 feet across, and we are using an open gable design which will allow more light to flow into the structure. One challenge we faced is the location of the exterior AC unit. It is directly in the location where the screened porch needs to be, therefore we had to have it moved to a more suitable location. We would’ve recommended that the AC unit be moved even if it wasn’t a necessity of the design because of the noise that would have been bothersome and taken away from the enjoyment of the screened porch. Relocating items such as an AC unit should only cost a few hundred dollars, not thousands, and little nuances such as these which are overlooked by less experienced builders make a dramatic impact on how your structure turns out. A custom builder will plan for the unexpected and make adjustments that could impact the quality of your outdoor living enjoyment before and during the building process to protect your investment and make sure you get the most out of your structure. The homeowners considered stamped concrete for the patio but decided against it because of the climate in this region. Columbia, MD is known to receive several hard freezes and with stamped concrete and freezing climates, it is not a matter of “if” it will crack-but “when” it will crack. With this in mind the homeowners decided upon a paver patio using Cambridge pavers in toffee/onyx and used three different sized bricks in random pattern with a brick border. 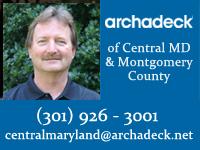 Archadeck of Maryland suggested the curved pattern to add more style and some flow to the design. These high quality pavers have very little fading and resemble the look and feel of real stone. We laid the pavers with polymeric sand which actually hardens in the same manner as grout. Polymeric sand is easily expandable and makes it easier to make adjustments. There are some who are concerned that weeds can grow up and through the polymeric sand, but this rarely if ever happens. The patio will measure 16′ wide and 12′ across when completed and allows ample room allowing for a grilling and eating area as well. 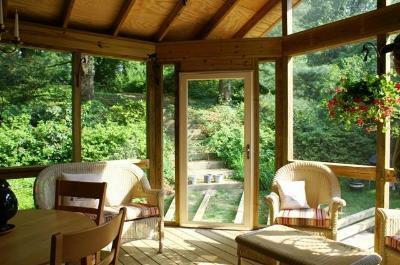 The homeowners foresee the screened porch as becoming a frequently used living space for their family. We made certain to have plenty of electrical outlets installed, lights and a ceiling fan. They are looking forward to plugging in the flat screen and watching football on the new screened porch, as well as many quiet hours enjoying a good book. We wanted to make sure all the necessary wiring and electrical needs were met to accommodate the family’s present and future needs. With a custom builder these needs are met prior to completion of your structure, so there are plenty of plugs for that reading light and all the wiring are completed to make it possible to catch that Sunday afternoon college game without any hassle or frustration.